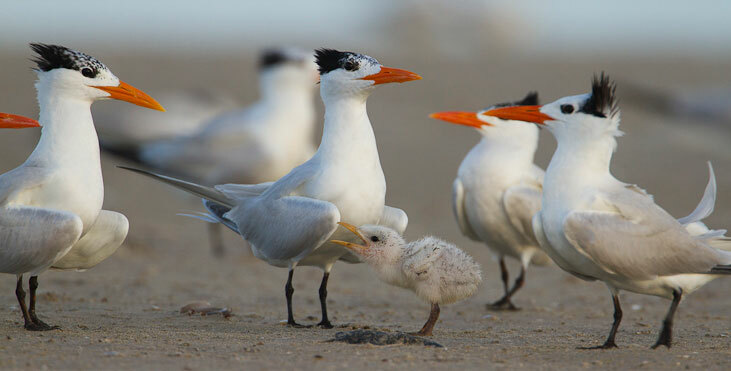 Last summer as the spill worsened, the incremental actions of individuals made a difference in helping rescue birds, survey beaches, and make environmental concerns audible above those of corporations. Today, as the Gulf Coast struggles to get on the road to recovery, individual actions are still just as important. Whether you take action in understanding the issues, contributing your own observations, or advancing efforts to restore the Delta, your involvement can have a real effect. One of the major obstacles to assessing the oil spill's effects is the lack of a clear picture of the Gulf's ecosystems before the spill happened. Baseline data can only be collected ahead of time, through monitoring programs that are always fighting to stay fiscally alive. Monitoring data seem dispensable during life as usual, but after an upheaval they become priceless—if we've collected them. You can help by supporting the funding of ecological monitoring in government programs or through nonprofits, wherever you live. You can help directly by getting involved in citizen science. Programs in which you serve as the eyes and ears of scientists—programs like eBird, NestWatch, and FeederWatch—allow data collection at a scale that simply can't be achieved any other way. Even if you don't live anywhere near the Gulf of Mexico, your observations are valuable as a part of the baseline that we may one day need just as much. The oil spill brought national attention to the plight of the Mississippi River Delta, a slow-motion tragedy that has been happening in southern Louisiana for 80 years. In that time, an area the size of Delaware has disappeared from the map. Along with it have vanished the area's natural protection against storm surges, the shallow, brackish waters that nurture young fish, shrimp, oysters, and crabs, as well as habitat for breeding and wintering birds. The Mabus Report, the official report to the President on the spill and its aftermath, recommended applying 80 percent of BP's Clean Water Act penalties toward rescuing the Delta's wetlands. But with budget shortfalls at all levels, there's pressure to divert funding from this important cause to scattered smaller projects. You can learn about the origin of the Delta, the way it supports people and wildlife in the area, the reasons why it's disappearing, and the general way forward to restore some of what we've lost. To help the Cornell Lab of Ornithology continue conservation efforts for birds please consider making a donation. We are a nonprofit organization supported by members and donors.